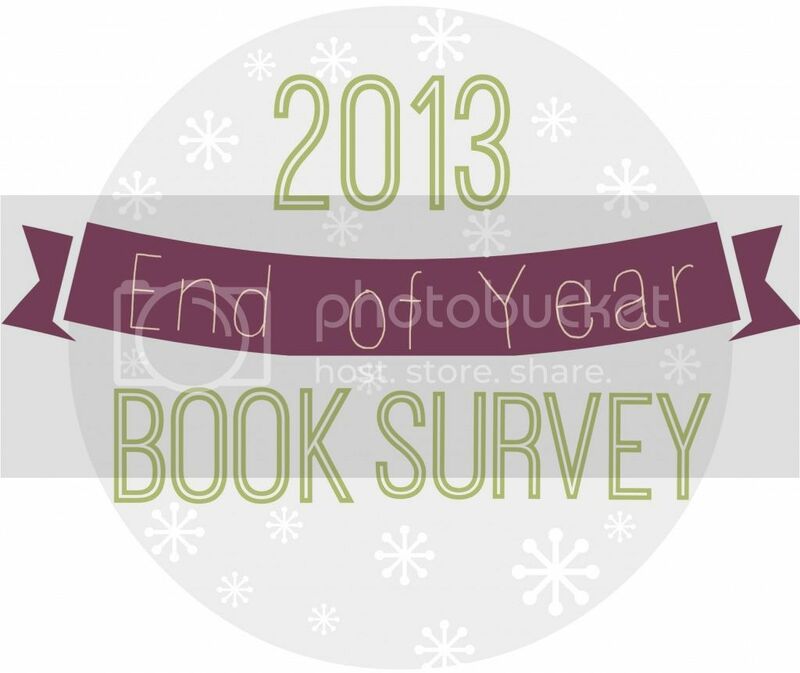 Today I'm taking part in the 4th Annual En of the Year Book survey hosted by The Perpetual Page Turner! This year was a great year. I really got to read such a different array of books. I even experienced some new stuff I'm really glad to have gotten into. So take a look at my thoughts! 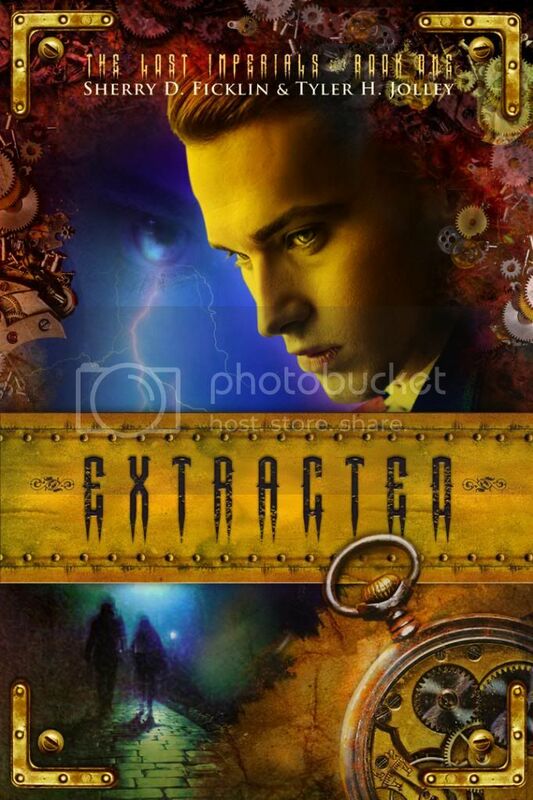 Hands down, Extracted (The Lost Imperials #1) by Serry Ficklin and Tyler Hall Jolley. This book is steampunk and time travel all wrapped up in one. It's amazing how the authors keep things in perspective and never waiver in their time/space continuum. HIGHLY recommend this! 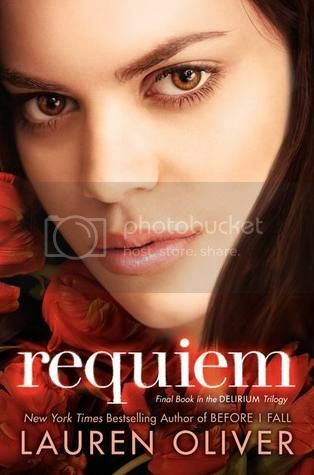 This one is definitely Requiem (Delirium #3) by Lauren Oliver. Oh how I wanted to love this book. I really liked Delirium and then I LOVED Pandemonium. So I thought for sure I would absolutely adore this book, but I was so wrong. It was totally disappointing to me. Not at all what I expected. 3. Most surprising, in a good way, book of 2013? I met Amanda at BEA at the Harlequin Teen Blogger breakfast. To be honest, I had never heard of her book. And when she described it, it sounded interesting enough but I didn't think I would pick it up. Then I started seeing people rate it, my friends were giving it lots of stars. So I thought I would pick it up and it was so great. So different, a plunge into the Japanese culture I was not expecting at all. 4. Book you read in 2013 that you recommended the most to people in 2013? 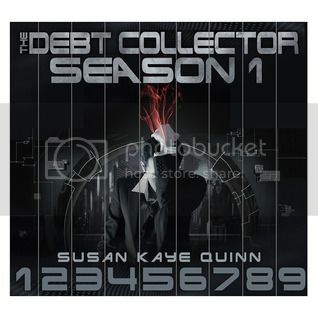 This one is a serial, Debt Collector by Susan Kaye Quinn. Holy moly this woman can write it like no other! 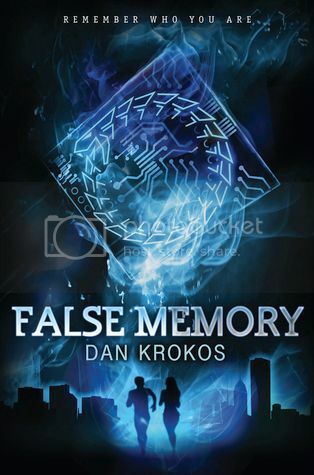 This series is a mix of dystopian, science fiction and romance. Throw in a little "mob" action and you've got the makings for an amazing serial that you just can't seem to put down! you're going to love Lirium and all that comes along with him! 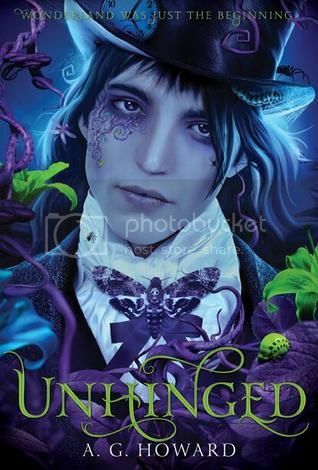 This is a series I had heard about from so many people, but I was reluctant to pick it up because I didn't fall in love with the author's first series. 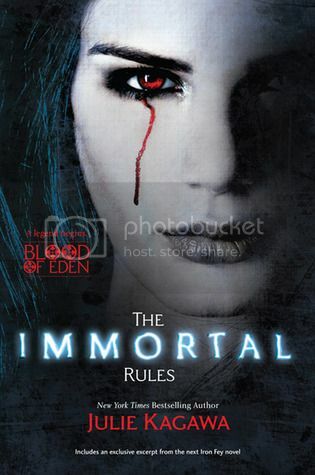 But The Immortal Rules (Blood of Eden #1) by Julie Kagawa iss NOTHING like her Iron Fey series. It is a totally enthralling read and I tore through it. Can't wait for the third book! I read this book because I was going to a signing and this author was going to be there. I had no idea what to expect and was pleasantly surprised by what I found. Definitely a great series to get into! I absolutely love the way Stolarz writes! You must pick this series up, it's just amazing! This is definitely Pushing the Limits by Katie McGarry. Anyone who knows me knows I have a really hard time with contemporary reads. I have not been known to give them more than 3 stars as they just don't usually interest me. But with this series, WOW, is all I can say. And it gets better with the second and third books! 8. Most thrilling, unputdownable book of 2013? I was so not expecting to love this series so much. I received a copy of the second book from the publisher for review, so I had to read the first! I blew through this book and it was fantastic. I was not expecting to love it so much. Heart-pounding from beginning to end! The second book was just as good. Can't wait for the last one! Ok, this one I can't answer because, honestly, I don't re-read books. There are just too many out there that I want to read I can't afford to give my time back over to the same book! Wow, this cover, holy cow, it's just PHENOMENAL. I can't even begin to say how much I love it. 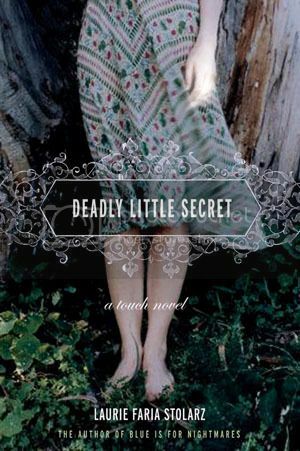 I loved the first book's cover as well. You just have to see it to believe it! 11. Most memorable character of 2013? Hunter from Jennifer L. Armentrout's Obsession (A Lux Story). This man is HOT and snarky and HOT and determined and HOT and strong and HOT and…did I mention HOT? 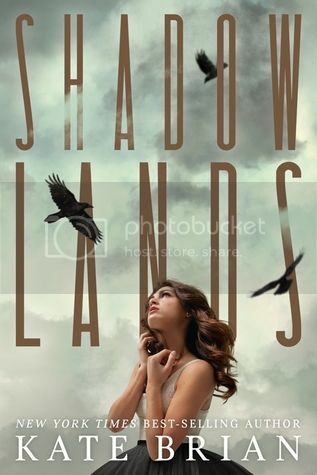 This is an NA book for sure, not at all the YA genre of it's cohorts. And Hunter, well, he's just…sighs…I really have no words. 12. Most beautifully written book of 2013? 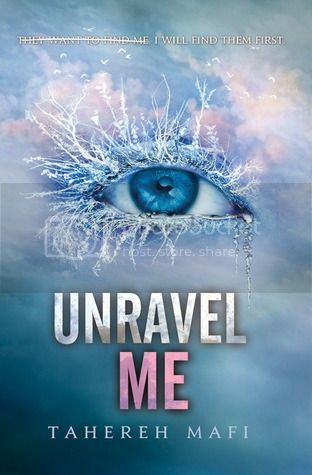 Like it's predecessor, Unravel Me (Shatter Me #2) is amazingly written. Tahereh Mafi has an unbelievable way with words. 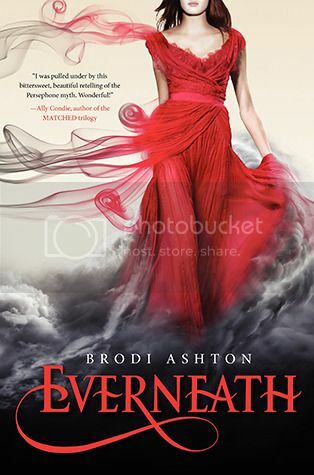 If you haven't started this series, get on it, the final book comes out in February 2014! Wow, is all I can say about this book. I have to say it was such a strange read for me, and then I got to the end, and HOLY COW, it all made so much sense. I still can't stop thinking about that ending and how it just blew my mind! 14. Book you can't believe you waited until 2013 to finally read. This book was nothing I was expecting. I kept hearing inklings about how great it was, but I just kept putting it off. Then I was going to a signing to meet Ashton, and a bunch of other authors, and I figured I should read it. Well…I flew through it and then jumped on #2! I can't wait for the final installment. Cole, ugh, he's a love to hate character for sure! 15. Favorite passage/quote from a book in 2013? 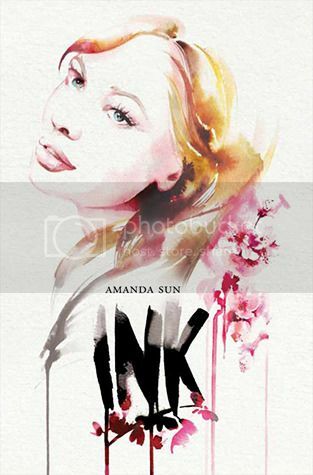 I will have to pick up Extracted and Ink, both look really good! Shadowlands also really surprised me, as did These Broken Stars. The Immortal Rules series is SO GOOD, agree with you there! And I got Laurie Stolarz to come to David's Goodread group for a Q&A in Jan.!! So excited for that! And I can't wait for Ignite me!! Great post, loved reading this! I saw she was coming! I think I commented on that post. She's totally awesome! I met her last year. Thanks for stopping by. Part 2 very soon!